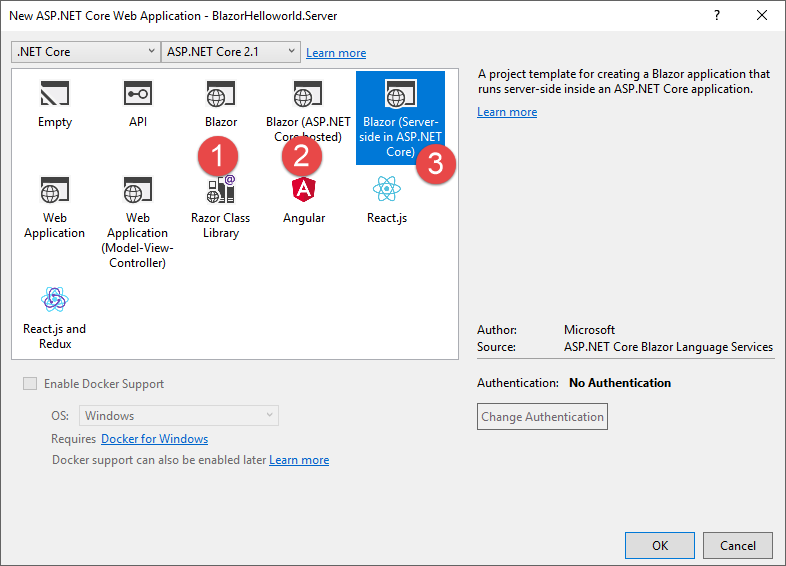 Opening the extension tool to search the word "blazor" you will find the package "ASP.NET Core Blazor Language Service".As you can see the name it means you need to be used ".Net core". After installed, When we created a new project which will show more three templates. Basic Client Side Project,: Basically, this can run well but normally we will split it to client and backend so we don't use it. ServerAPI+Shared+Client Side: We use this, it is the most standard layer architecture. 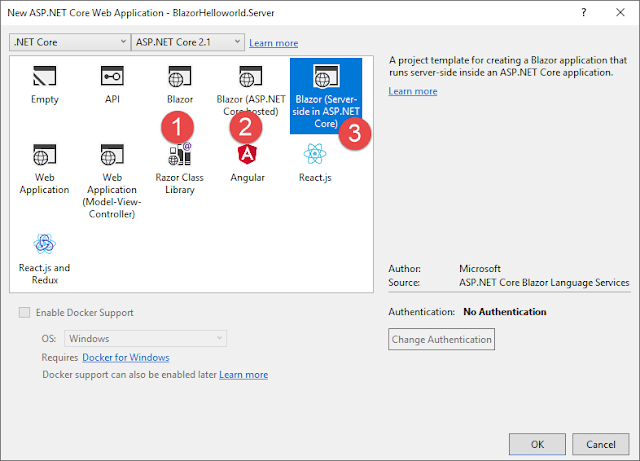 Ps: Template 1 and 2 will load assembly to browser through blazor.webassembly.js to render HTML. ServerAPI+Shared+Server Side: This is similar No.2 the different is it will not load assembly to the browser.All of the HTML will render from backed through blazor.server.js. Notice, if the backend is unavailable client cannot render HTML. 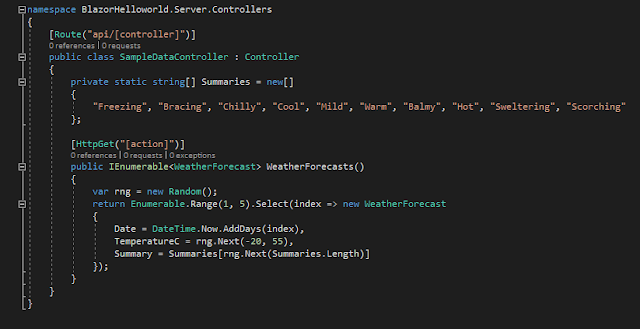 Server : Backed Web API, This is a primary running project. Testing, Just run the server project that can show the result. Which will load the client project to display. The server project has a sample code that demonstrates the client how to retrieve data from the backed. All of the above are generated by default setting. I didn't write any of the code.